The cheapest and most cost effective way to invest in silver. VAT free silver offers you the easiest way to invest in silver without having to pay the Value Added Tax levied on Silver bullion purchases within the UK. UKBullion have developed an offshore purchase and storage system which offers our customers the opportunity to purchase batches of 1Kg Silver bars and Silver Britannia coins without paying VAT. Your bullion is stored in a professionally operated, fully insured, purpose built, state of the art vault in the United Arab Emirates. No VAT is payable on your Silver bullion purchases unless you decide to have them delivered to the UK. Our online storage system gives you the ability to monitor the value of your bullion and submit sell or delivery requests online. Request secure delivery (Terms & Conditions apply). To coincide with the upcoming release of our upgraded storage system, we are offering free storage for 6 months when you order 5 kilos or more of our VAT FREE Silver Storage products. At the end of your free storage period our normal storage rates, starting at just £5 per month plus VAT, will apply. Buy and store VAT Free batches of Silver 1 oz Britannia coins and 1 kilo Silver bars now. We strongly believe our VAT free silver storage service offers UK investors a cost effective and secure way to buy and store physical silver bullion. 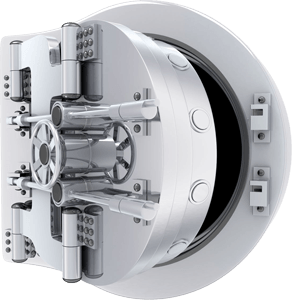 Your Silver will be vaulted on an allocated basis meaning that it is your property, fully insured and professionally vaulted. If you would like more information regarding our VAT Free Silver products, please contact our Customer Services Team on 01902 623 256 or email us on sales@ukbullion.com.